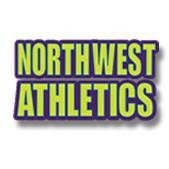 Welcome to the Northwest Athletics, LLC registration form! If you have chosen the class you would like to register your child for, please register below. If you have questions about any of the classes we offer, please contact us at 219-940-9645. I, the guardian of above named student(s), consent to his/her participation in activities occurring as a result of enrollment in Northwest Athletics, LLC. I am aware that any activity involving motion or height creates the possibility of serious injury, not excluding paralysis, or even death. I authorize the staff of Northwest Athletics, LLC to provide first aid care within their realm of knowledge and, if necessary, to call an ambulance, for which I will be financially responsible. I further release from liability Northwest Athletics, LLC and its representatives for incidents occurring while participating in activities at or in conjunction with Northwest Athletics, LLC and assume all financial responsibility for such incidents. I understand that it would be in my best interest to provide medical insurance coverage, as I am responsible for all medical expenses. Because of our strict student to teacher ratio, prior arrangements must be made to make up for any classes missed. No refunds for classes missed including scheduled holidays. PARENTS MUST NOTIFY THE SCHOOL TO DROP A STUDENT FROM CLASS. Only a written notice via email, regular postal mail or hand delivered to our front desk will be acceptable. Boys or Girls may wear tucked in T-shirts and shorts OR Leotards for Girls. NO chewing gum or dangling jewelry. Hair should be pulled neatly and securely away from the face so that is stays up for the entire workout. Personal items should be left in cubby holes. Jewelry should not be worn during classes. PLEASE LEAVE JEWELRY ARTICLES AT HOME. This facility's staff will not be responsible for ANY items that may be lost or stolen. Be sure your student's personal items are marked with their name. Checks returned unpaid will be subject to a $30 fee to Northwest Athletics, LLC. Northwest Athletics, LLC is hereby granted permission to use photographs and/or videos of the students in brochures, websites, posters, advertisements and other promotional materials the school creates. Permission is also hereby granted for Northwest Athletics, LLC to copyright such photographs/videos in its name.